We OYABE SEIKI design and manufacture peripheral equipment of press machines, various kinds of automation equipment and laser systems. Our products are largely separated into 3 categories. 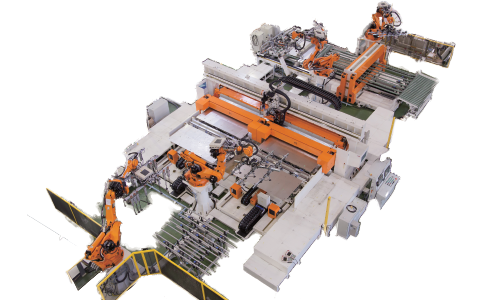 We also make an Three-dimensional laser cutting system consisting of general purpose robots and automated laser welding system combined with a welding machine and general purpose robots. 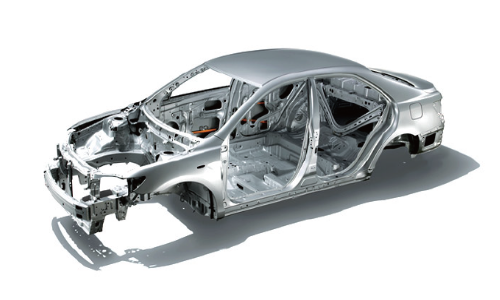 Tailored Welded Blank laser welding system which can weld metal materials that have different thicknesses to create a light weight automobile body and cost reduction. We also manufacture various kinds of automation equipment such a washing machine in order to clean a blank before putting it into the press machine. We also design, manufacture and deliver our products to meet our customer’s demands. A destack feeder is used to separate a single metal sheet from a stack of blanks and send it to the downstream press process. We have many technologies to adapt for various types of machine layout and metal material, and also have many solutions to realize higher speed conveyance by means of our longtime accumulated technological development. 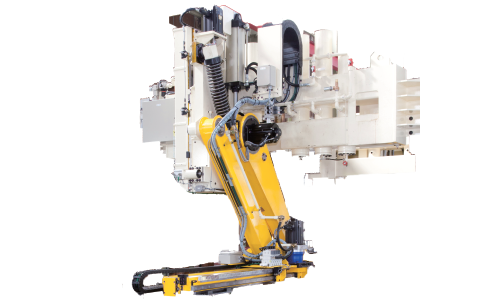 We have a long experience in developing laser welding systems and have a good reputation for development of Tailored Welding Blank machines using general purpose multi articulated robot to realize high precision and high quality and low cost. We are proud of being second in the world in this field. Our Hot press line loader is able to convey heated material to press machine at high speeds and is able to adapt for both roller hearth furnaces and multi-layer furnaces. We can provide peripherals including an auto palletizing system which can load pressed parts onto a pallet. The auto palletizing machine is used to place the finished parts on a pallet or a hanger rack vertically or horizontally by general purpose robots and a vision sensor system. 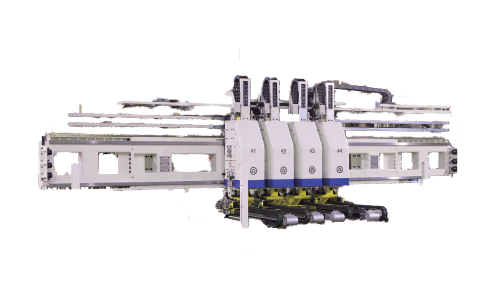 Our system is able to switch pallets at high speeds by servo controllers. 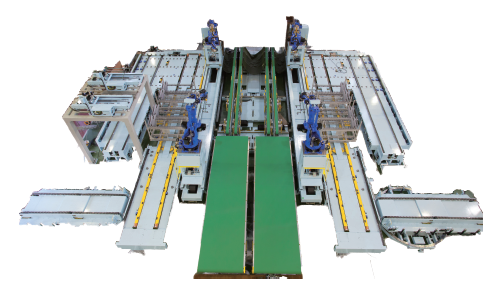 This system conveys pressed panels to the next process. It is able to be adapted to various conveyance patterns by using general purpose robots and special purpose machinery. 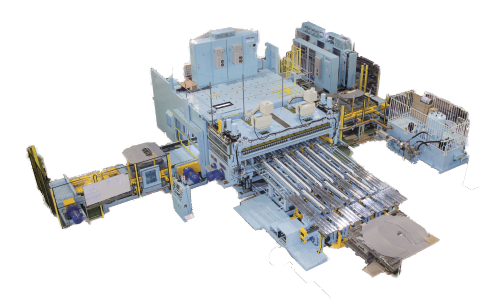 Oyabe Seiki participates in the process from start to finish including writing proposals, development, manufacturing, transport of products, buy-off at the customer’s location, as well as other processes for customer demands. We look forward for your inquiry.